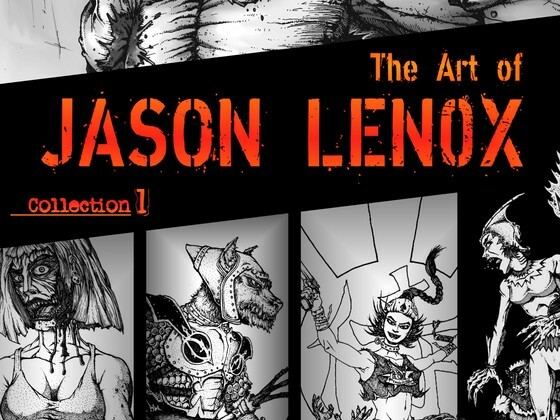 A few Rants ago I reviewed the work of independent comic book creator Jason Lenox. (Catch the review https://jasonhuskins.wordpress.com/2012/06/22/reviews-through-the-eyes-of-grizelda-the-great-vermin/) Mr. Lenox submitted the books to me and asked if I would read them and then give my opinion on what he created. I was very impressed by his work and especially by the way that he would craft a story that had you looking in one direction but then gives the reader such a twist that you question what you just read. It is a very tricky way to tell a story but can also be one of the most rewarding if done right. The best way to describe his art style is to call it “organic.” There is always a constant flow from start to finish of the book. He is very confident in the style that he presents and never does it ever come off as forced. This entry was posted in Comics, Reviews. Bookmark the permalink.